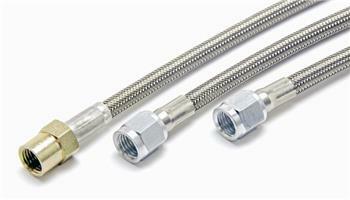 McLeod Racing Stainless Steel Hose UNKNOWN - Dezod Motorsports Inc - Home of the automotive performance enthusiast since 2002. McLeod stainless steel braided clutch line assemblies are constructed from high-quality stainless steel braided hose. They also feature pre-assembled ends that are factory-crimped to eliminate leakage. They come available in different lengths and end configurations.